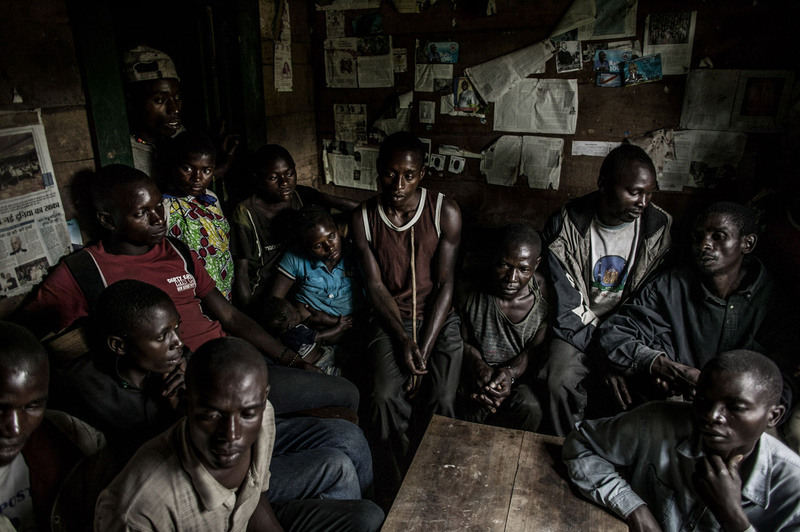 The men of the Kanyabugoyi family gather inside their family home in the village of Rugare, which was recently wrest from M-23 rebels by the Congolese army. The family fled their home in August after being continually harassed by M-23 rebels. When they returned on Monday, 28 October, they found their home had been broken into and many of their belongings by M-23 forces.